15% Off with FITFIX10 Passes at payasUgym Visit 10 gyms over a period of 60 days and pay 15% less than a day pass! 10% Off with FITFIX5 Passes at payasUgym Visit 5 gyms within 30 days, and pay 10% less than a day pass! 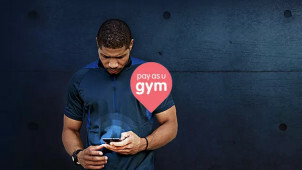 Monthly+ Pass at payasUgym Get unlimited access to gyms near and far! Day Passes from payasUgym Get access to your chosen gym for less than the gym's day rate! Fitness made easy, fitness as it should be - that is the motto behind PayAsUGym. The hardest thing you'll have to do here when you sign up is to choose between Day Passes or the Monthy + option - lifting weights perhaps will come later! Now you're going to get the best price guaranteed on hundreds of conveniently located venues. With no joining fees or contracts to tie you down, you'll be laughing your way to a toned tummy in no time. For the office worker on the move, busy parent or stressed student - PayAsUGym is your solution to keeping a level head with all important fitness, when you want and when you need it. Find your favourite gyms, searching by venues, with pools and even incredible classes - there are hundreds of trainers and coaches waiting to encourage and guide you onto an interesting fitness regime that suits your lifestyle perfectly. How do I use my PayAsUGym voucher? Enter your payment details and confirm your payment to complete your order. You can often get money off by buying your day passes in bulk, so make sure that you check out what PayAsUGym can offer on your membership choice. Where is my nearest gym venue? Enter your postcode on the Find a Gym page to find all the venues and their facilities near you. Your Monthly+ pass will be valid for as long as you'd like to keep it going. It will renew every month automatically and on the same date. Will I get access to classes? This will depend on the gym venue so do check beforehand. Passes for PureGym are only valid for gym facilities and not the classes. How old do I have to be to get a pass? You have to be 16 years of age to buy a pass for most of the gyms on PayAsUGym, some venues may require you to be 18 years old and this will be specified in their description. The PayAsUGym website also has a live chat service if you need a quick response online. Join the PayAsUGym revolution where their mission is to give the power back to the gym user by shedding pesky contracts so that you can just do what you love at your own ease and for a great price. Now you can use a PayAsUGym voucher when you visit one of the amazing gyms in their UK network. With great equipment to enjoy as well as fun and effective classes available too - now you can rekindle your love for the gym with PayAsUGym. Letting your friends in on the big secret really does have its benefits. If you refer a friend to PayAsUGym then you could earn up to £30 of free credit. Simply invite your pals, and they will get 50% off their first purchase. Remember that the bigger the pass, the more you'll get back so be sure to encourage them to get back on track to fitness fast! We enjoy the monthly + passes at PayAsUGym for unlimited access to your chosen venue. This is perfect to fit in with every busy body and active lifestyle. You aren’t limited to that one gym, but you can even access others which are of the same monthly price - all for less with a PayAsUGym discount code from us. With easy monthly payments, no contracts, joining fees or inductions - you can cancel anytime (but you won’t) - fitness done.